2019 is the Year of the Pig. 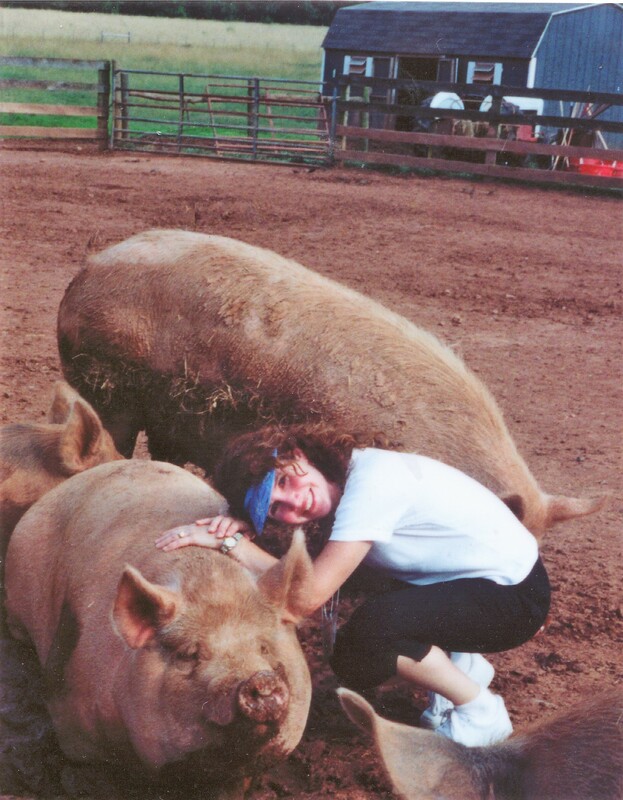 Who doesn’t love pigs? Pigs are super smart; when I was in nursery school my teacher had a pig who was trained to use the toilet. And sociable? 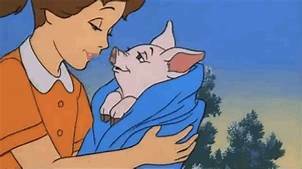 Just ask Charlotte – or me, the voice of Fern in “Charlotte’s Web.” Did you say they’re dirty? Despite what you might think, pigs like to be clean – when they’re given the option. And cute? Most people love these smart, social, clean, and beautiful animals from childhood. So why do we kill 121 million of them every year? Pigs “have the cognitive ability to be quite sophisticated. Even more so than dogs and certainly [more so than] three-year-olds,” says Dr. Donald Broom, a Cambridge University professor and a former scientific adviser to the Council of Europe. Pigs can play video games, and when given the choice, they have indicated temperature preferences in their surroundings. These facts should not come as a surprise to anyone who has spent time around these social, playful animals. Pigs, who can live into their teens, are protective of their young and form strong bonds with other pigs. Pigs are clean animals, but unable to sweat as humans do, they seek cool surfaces like mud to help regulate their body temperature. Only pigs in movies spend their lives running across sprawling pastures and relaxing in the sun. 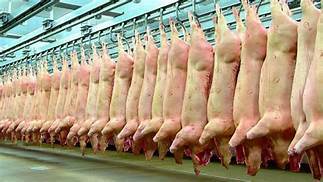 On any given day in the U.S., there are more than 75 million pigs on factory farms, and 121 million are killed for food each year. The majority of mother pigs (sows)—who account for more 6 million of the pigs in the U.S.—spend most of their lives in individual “gestation” crates. These crates are about 7 feet long and 2 feet wide—too small to allow the animals to even turn around. After giving birth to piglets, mother pigs are moved to “farrowing” crates, which are just wide enough for them to lie down and nurse their babies but not big enough for them to turn around or build nests for their young. The mother and babies suffer terribly from these conditions and it breaks my heart to think of them forced to live in their own excrement, unable even to turn around. When the piglets reach about ten days old, they are taken from their mothers. I saw undercover video of mother pigs crying out for their stolen babies and piglets screaming in anxiety, fear, and desperation so anxious and scared looking at their mother. 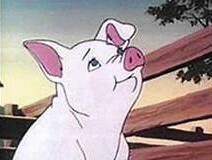 The sound the piglet makes is indistinguishable from the sound of a crying human infant, and it is a terrible thing to hear. Once her piglets are gone, the mother pig is impregnated again, and the cycle continues. In three or four years, the mother pig can no longer produce milk and is considered “used up,” and she is slaughtered. The piglets taken from their mothers are confined to pens and barns over the span of about six months, fed until they weigh upwards of 280 pounds and are ready to be slaughtered. In extremely crowded conditions, piglets are prone to stress-related behavior such as chewing on cage bars and even cannibalism. Male piglets are castrated without painkillers. In their distress, pigs will often bit one another’s tails, so farmers often chop off piglets’ tails and use pliers to break off the ends of their teeth—again without giving them any painkillers. For identification purposes, farmers also cut chunks out of the little ones’ ears. 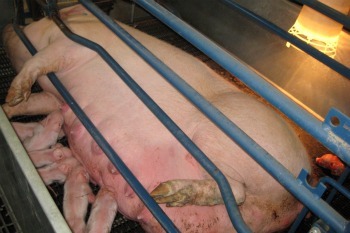 This intensive confinement produces so much stress- and boredom-related behavior, many pigs begin to chew on the cage bars. 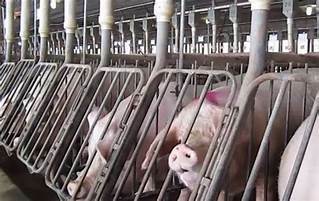 Because stress, intensive confinement and living in excrement is conducive to the spread of disease, pigs on factory farms are fed antibiotics and sprayed with huge amounts of pesticides. The antibiotics and pesticides remain in their bodies and are passed along to people who eat them, creating serious health hazards for humans. Pigs and other factory-farmed animals are fed millions of pounds of antibiotics each year, and scientists believe that meat-eaters’ unwitting consumption of these drugs gives rise to strains of bacteria that are resistant to treatment. Every year in the U.S., food poisoning sickens up to 48 million people and kills 3,000. Pig flesh and body parts are known carriers of food-borne pathogens, including E. coli, trichinella, listeria, salmonella, and tapeworms. One study of 256 pork samples taken from 36 different grocery stores found that up to 63 percent of the samples were contaminated with Staphylococcus aureus bacteria. The United Nations Food and Agriculture Organization reports that the meat industry is “one of the most significant contributors to today’s most serious environmental problems.” Each farmed pig produces about 10 pounds of manure per day. As a result, many tons of waste end up in giant pits, polluting the air and groundwater. Some restaurants have announced they will no longer buy pig products from farms that use gestation crates, and voters in Florida, Arizona, California, Colorado, Maine, Massachusetts, Michigan, Ohio and Rhode Island have banned the use of gestation crates. In Canada, these crates will be phased out of use by 2024. But with or without gestation crates, the end result are millions of slaughtered pigs. The horrible suffering of these intelligent, sociable animals continues. So I ask you to stop giving your money to pig farms and slaughterhouses. Celebrate the Year of the Pig by going vegan. Adopting a vegan diet means means eating for life— your life and those of animals.